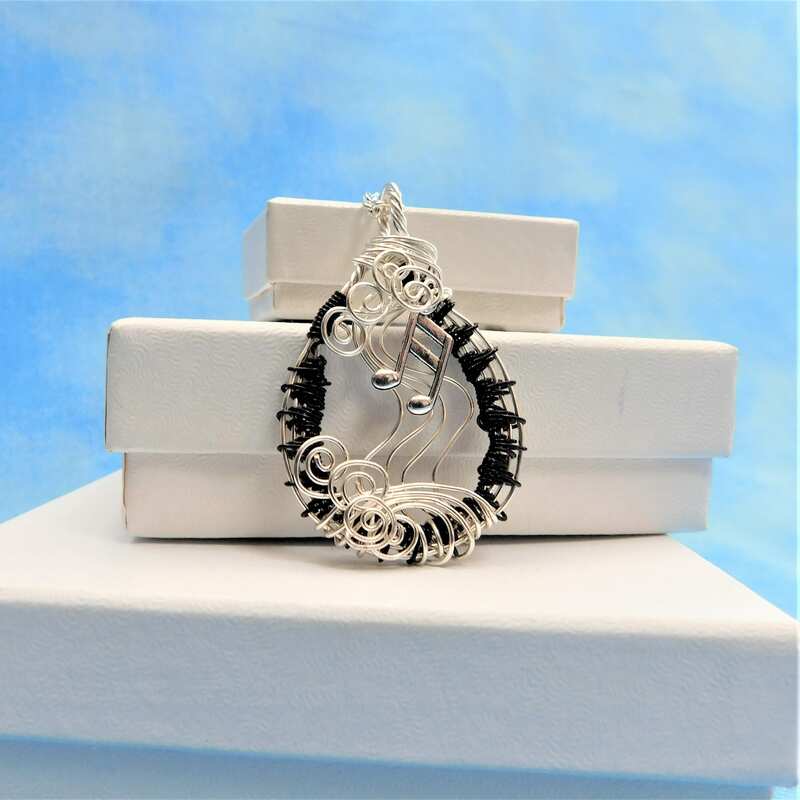 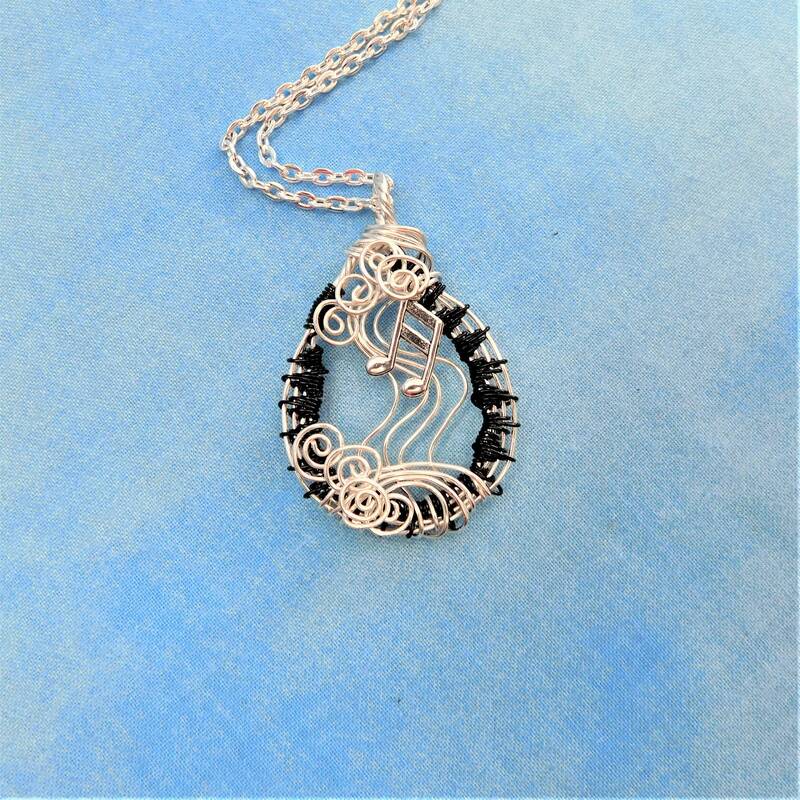 A music note, a symbol that represents the love of music, defines the theme of this pendant. 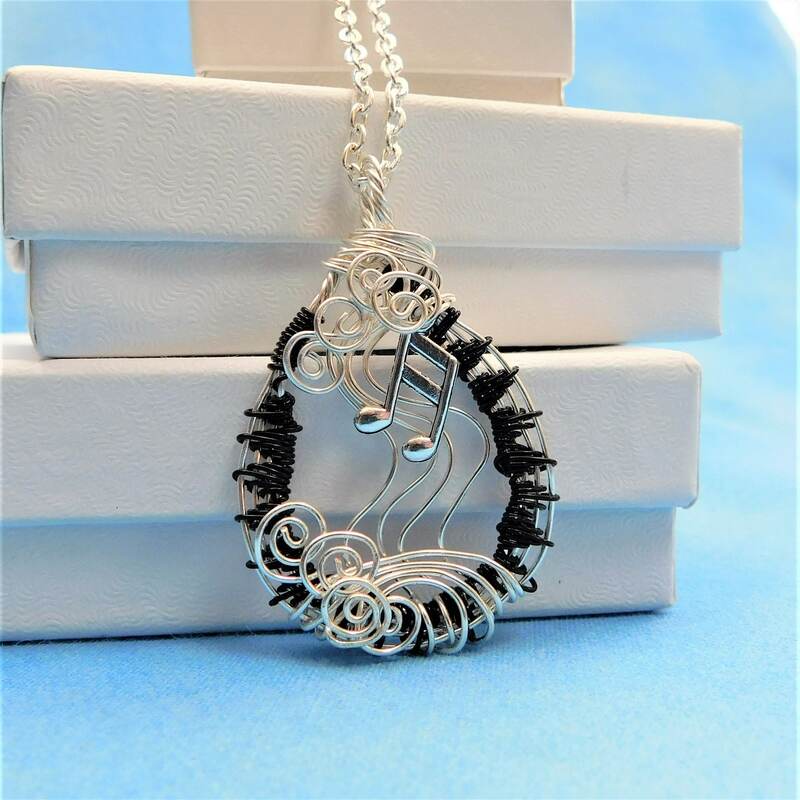 The perfect gift for a musician, music teacher or music lover. 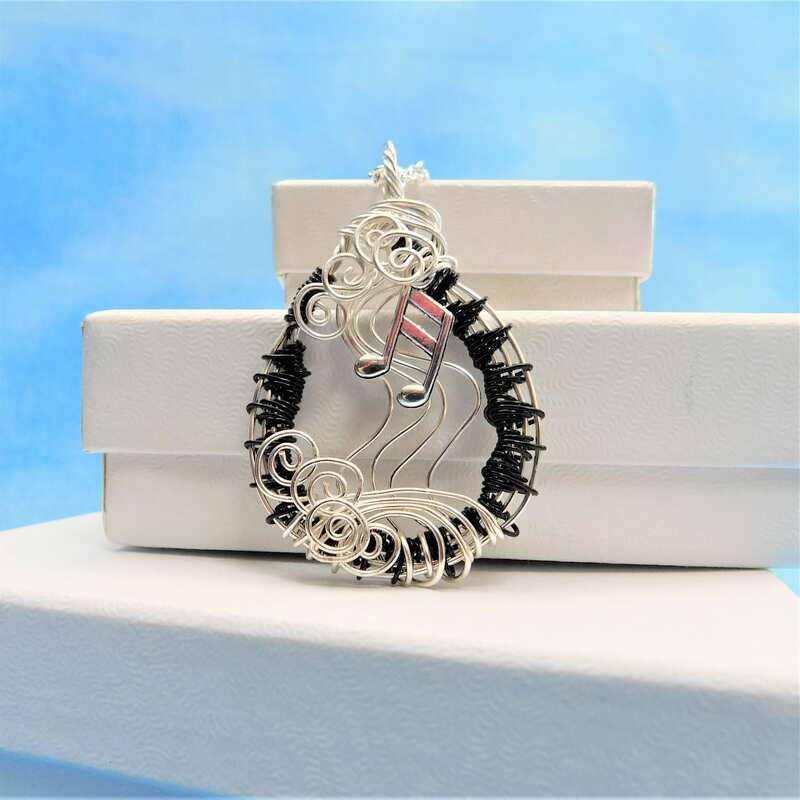 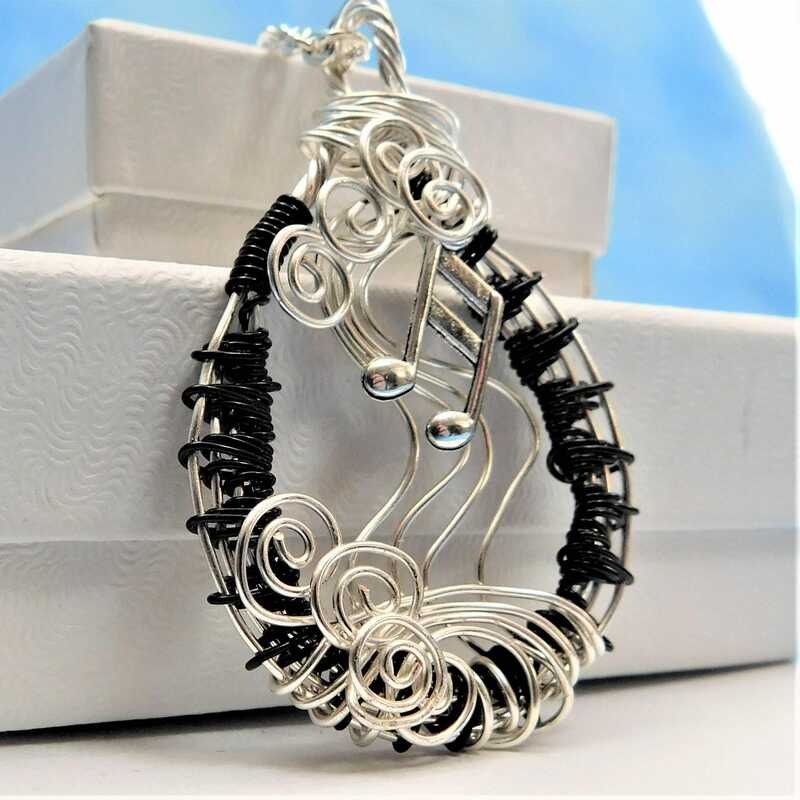 The frame is meticulously hand woven wire and measures 1 1/2 inches in length and 1 1/4 inches across. 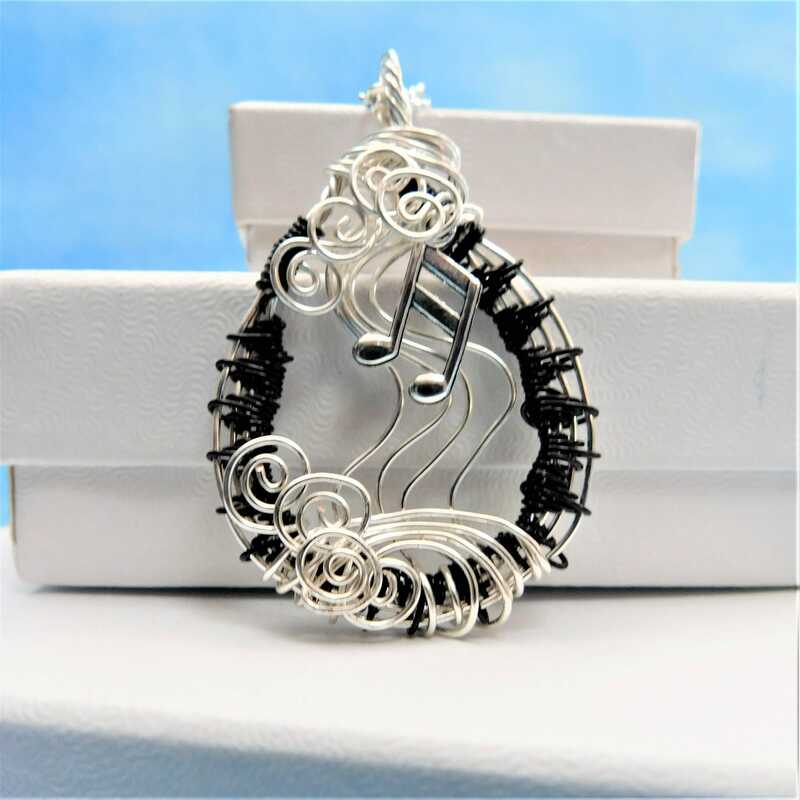 The flowing strands of wire create the musical staff, and the feeling of waves of sound. 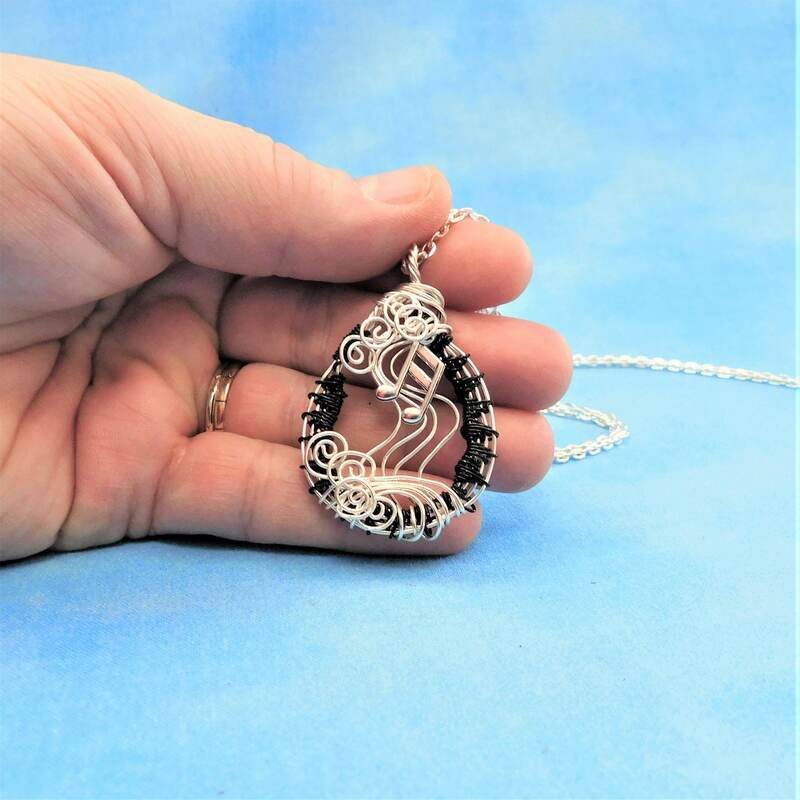 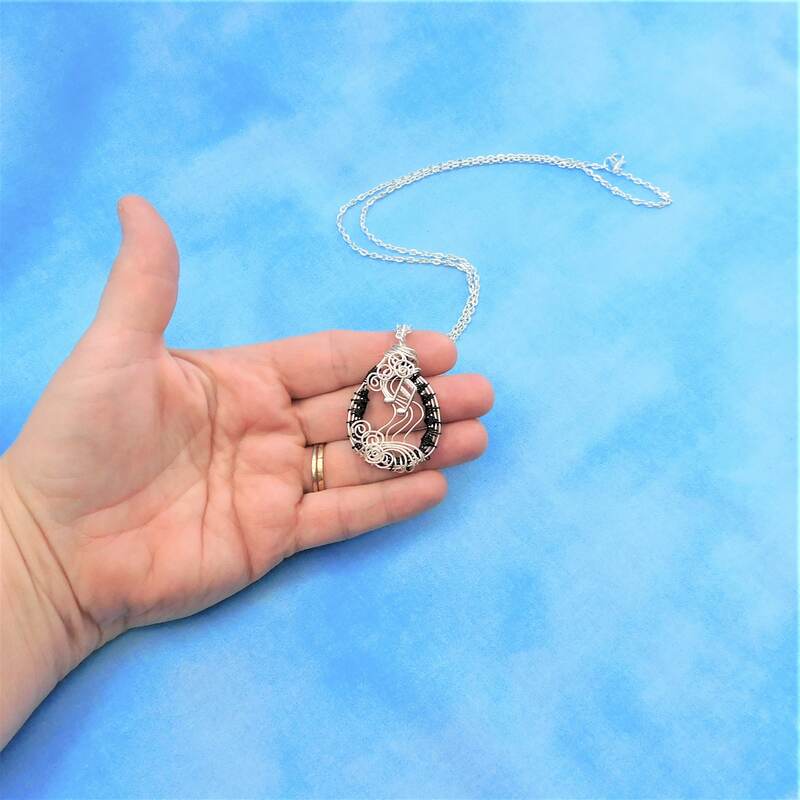 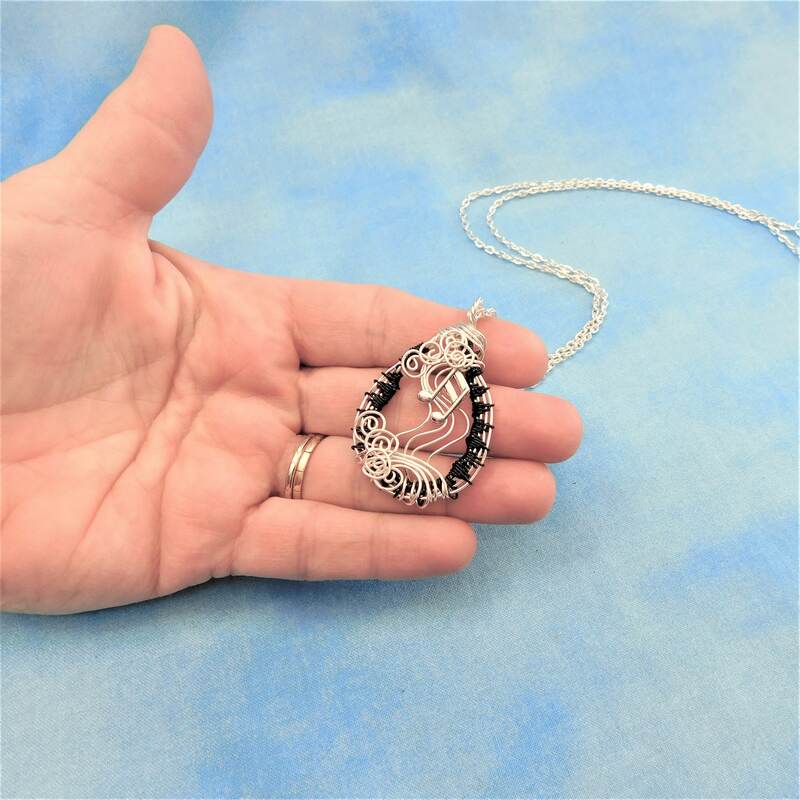 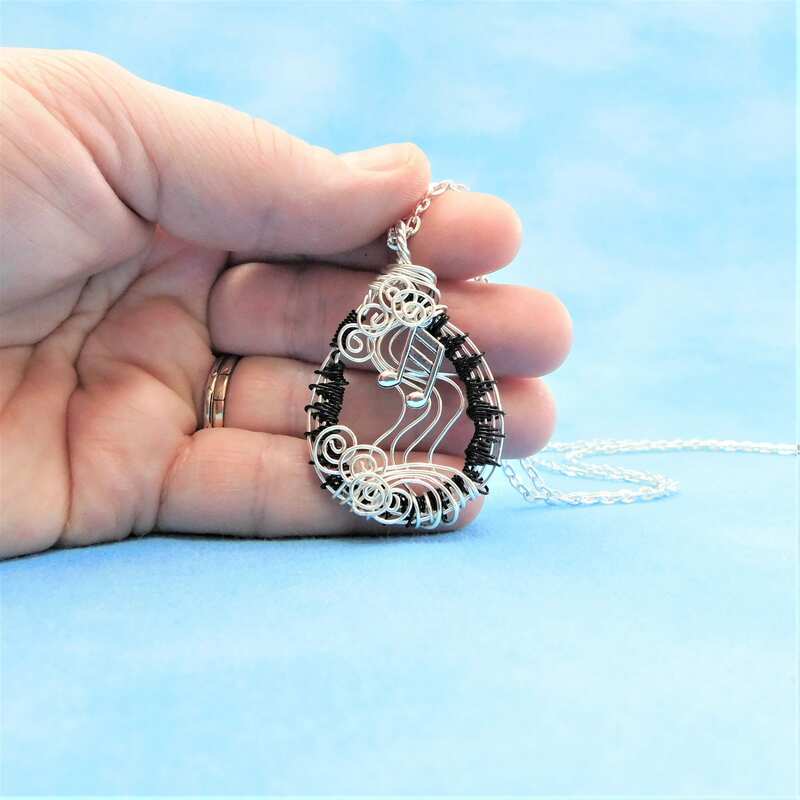 This artisan crafted pendant comes with a FREE coordinating chain with lobster claw clasp, measured to your preferred length.